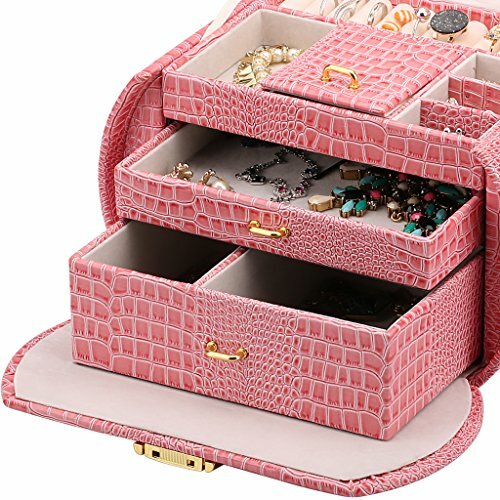 Attractive, stylish and elegant, this fashionable jewelry organizer is a most appealing and unique way of having your jewelry well organized and gorgeously displayed in such a chic and beautiful item! 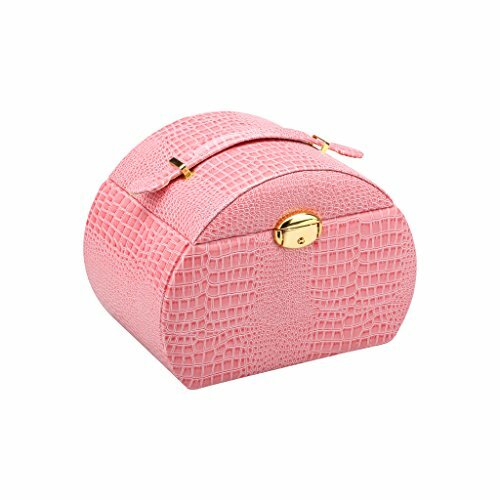 This amazing box has been made out of crocodile faux leather and a resistant MDF board structure, so it is both trendy and durable. It is sporting a neat light pink color but you can also get the immaculate white version as well. 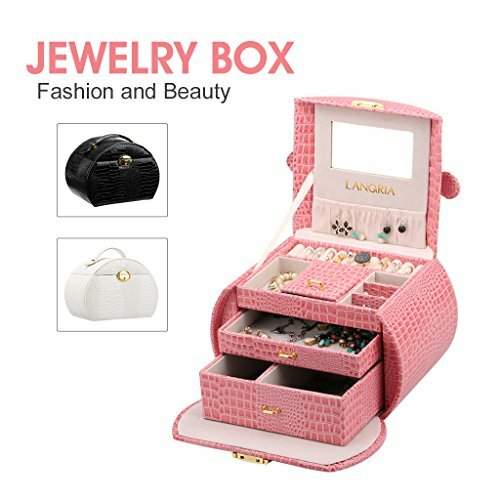 The product is quite large so you will be able to accommodate the entirety of jewelry collection, accessories or trinkets with ease. Thus, it is divided into two pull-out drawers and an upper compartment. 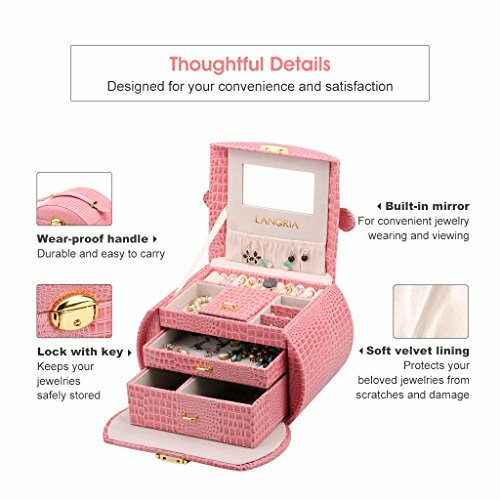 The inside part of the lid is also framed with an elegant glass mirror that is meant to further assist you. 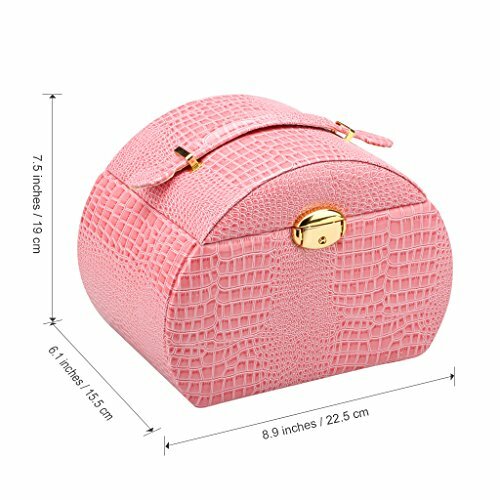 It’s also got a dainty little pocket where you can secure your precious trinkets as well. The upper compartment has got several rows of ring rolls and three other variously sized compartments. 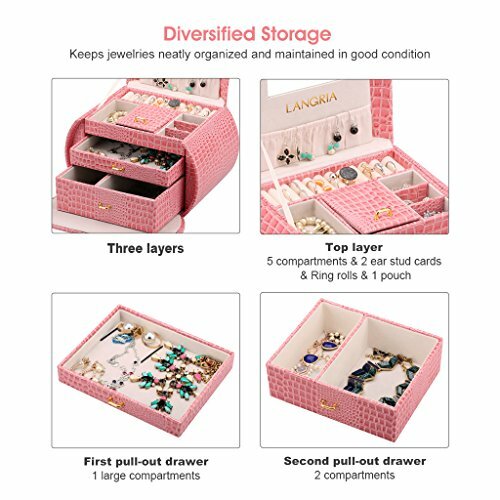 The middle drawer is smaller sized yet it is empty so you can easily fit in plenty of items and the bottom drawer is both large and quite deep; it is also divided into two sections but you will be able to place and store all sorts of items in there given its spacious size. This box is a wonderful and most efficient way of storing your possessions and it will definitely be very satisfying! 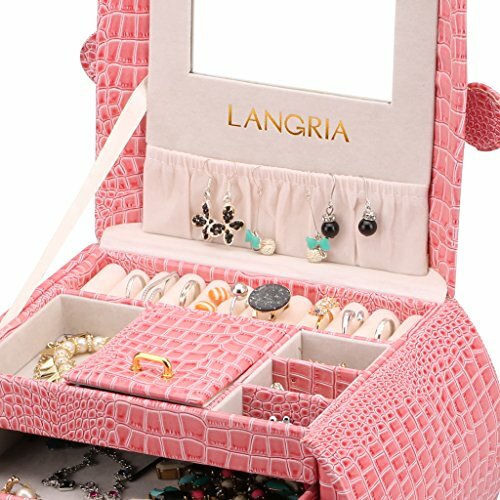 The measurements of this jewelry gift box are: 8.9 x 6.1 x 7.5 inches and its weight is 3.1 pounds.